Fires in process filters present a real threat to the safety of personnel and can result in costly repairs and production down-time. StuvEx Safety Systems Ltd, experts in industrial fire and explosion safety, can provide a CO2 fire extinguishing system that can be installed on a new filter, or retrofitted to an existing filter to eliminate the risk of fire and give peace of mind. 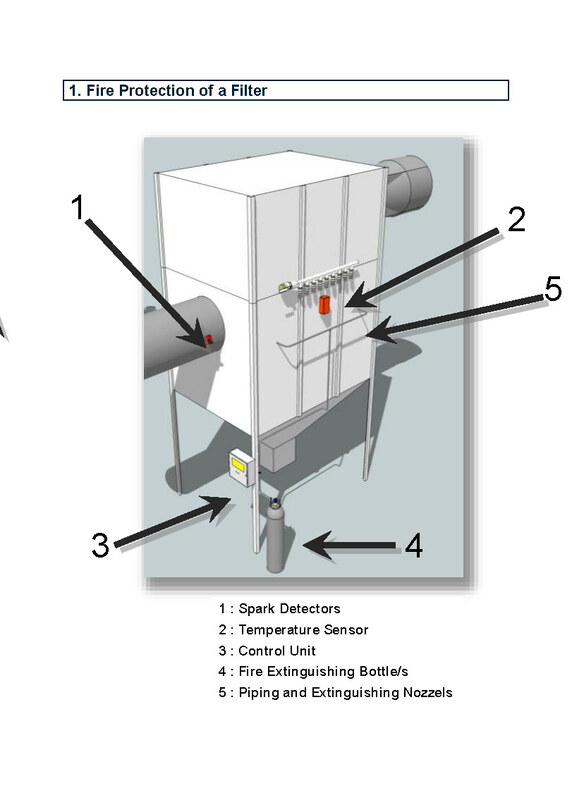 The StuvEx fire extinguishing system uses spark detectors and/or heat sensors installed on the filter to trigger a control unit which provides an audible alarm and operates a relay interlock to shut down the filter and associated process equipment. A solenoid valve is activated automatically to start the flow of CO2 through pipework to injection points located on the filter. The response of the system is rapid to ensure that extinguishing is achieved before the fire becomes a threat. The StuvEx CO2 fire extinguishing system is simple to install. A single cabinet houses both the control system and the CO2 bottle assembly, which features a weighing system to ensure that it is full. The system can be configured to meet specific requirements with various options including manual activation from a remote actuator. 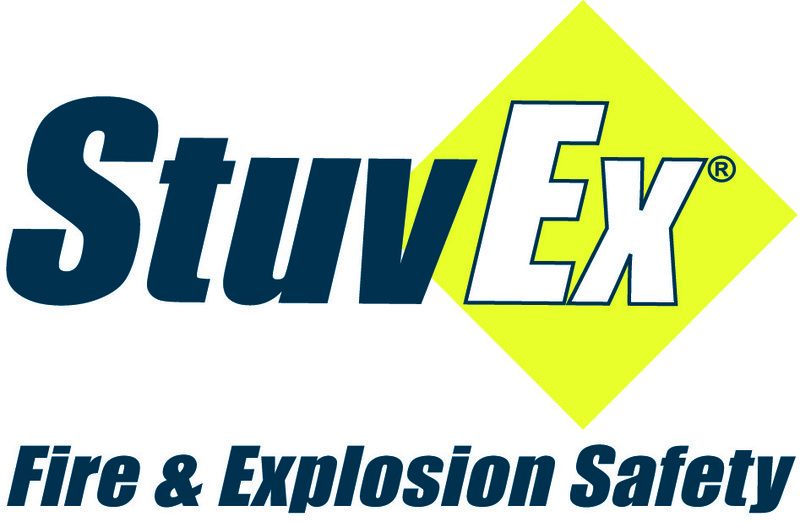 For further information on our full range of fire and explosion protection systems please contact StuvEx Safety Systems on +44 (0)1932 571303.